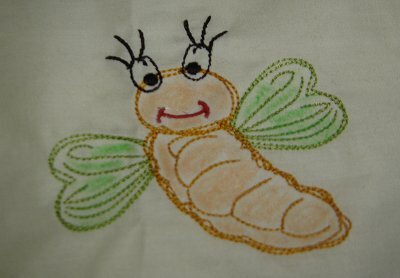 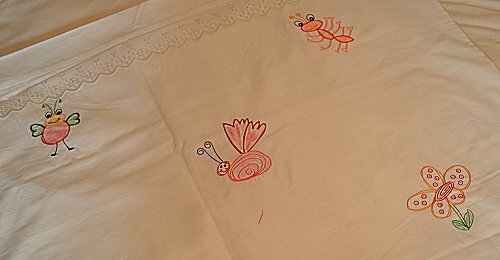 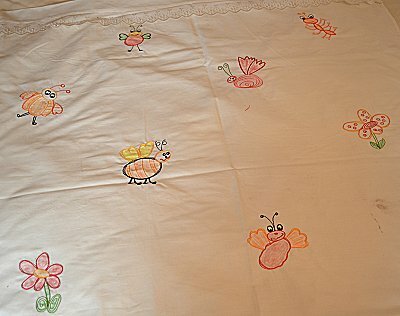 The Toy Bugs designs were used to make this lovely baby duvet cover. 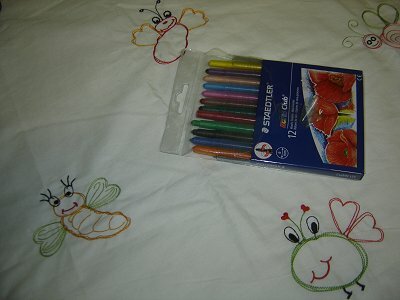 The designs were embroidered randomly on the duvet cover. 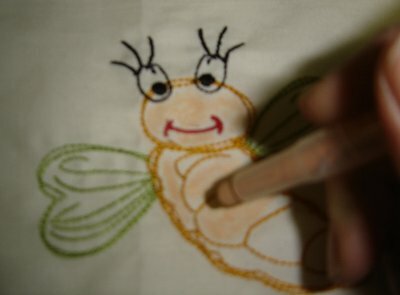 Once the designs are embroidered, use good quality wax crayons and color in the designs - you can even give them to the little ones to color them in. 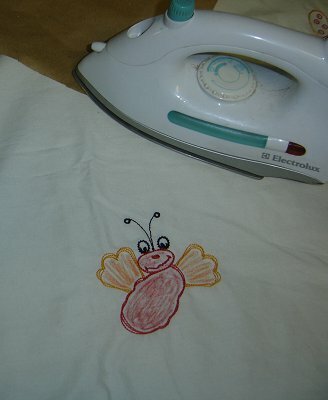 Once the designs are colored in, put some brown paper on top of the design and iron over the design. 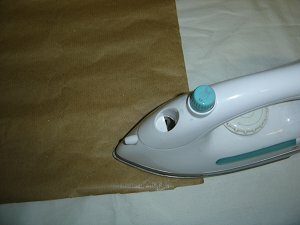 The heat will melt the wax - which will be absorbed by the brown paper - and the color will be absorbed by the material. 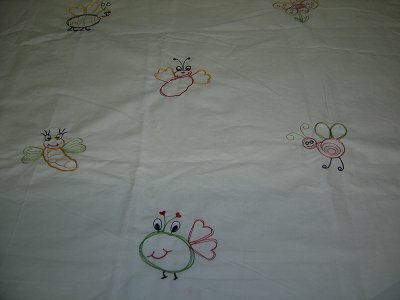 Photos of the finished baby duvet cover.